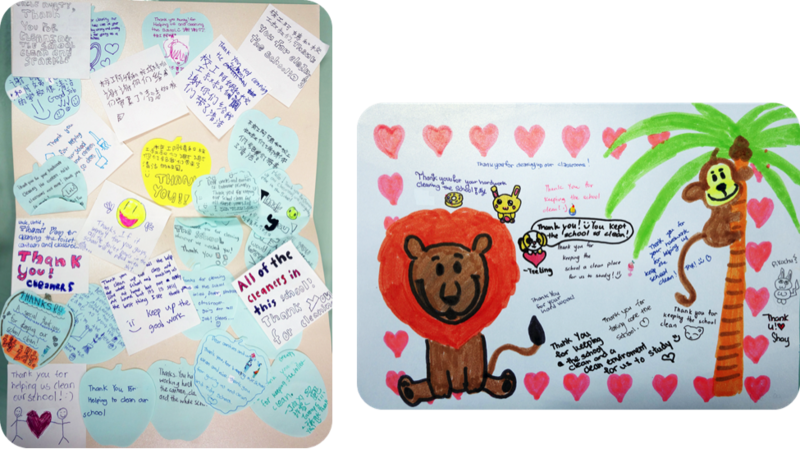 The Keep Singapore Clean Movement (KSCM) is a national rally call for Singapore to move from being a 'cleaned city to a truly clean city'. 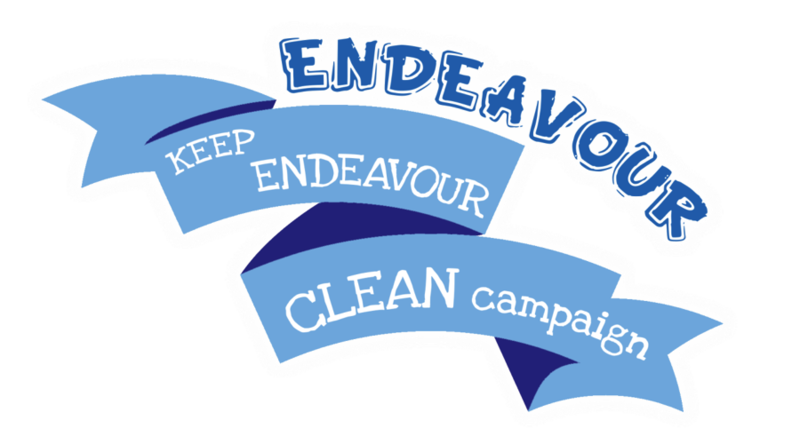 The movement awareness drive aims to bring the cleanliness challenge to the forefront of the public’s consciousness, and rally the community to take action, encourage a groundswell of related activities and incorporate positive messaging on social graciousness and consideration for others. 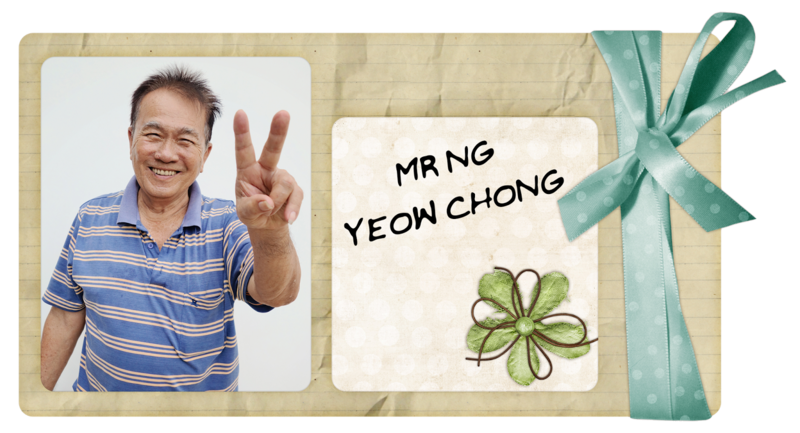 Do you know that the Keep Singapore Clean campaign was one of Singapore’s first national campaigns as an independent nation? Launched as early as 1 Oct 1968 by former Prime Minister Lee Kuan Yew, the month long campaign aimed to make Singapore the cleanest and greenest city in South Asia. The government believed that improved environmental conditions would not only enhance the quality of life for Singaporeans and cultivate national pride, but also attract foreign investors and tourists to Singapore. So far, we have made tremendous effort over the past decades to transform Singapore to become a beautiful garden city that all of us are proud of. Staying clean and green in Singapore remains as important as ever. This is because we have a bigger population now. We consume a lot more energy, we generate more waste materials. We are a more built up city and so we have to work harder to preserve our green spaces. 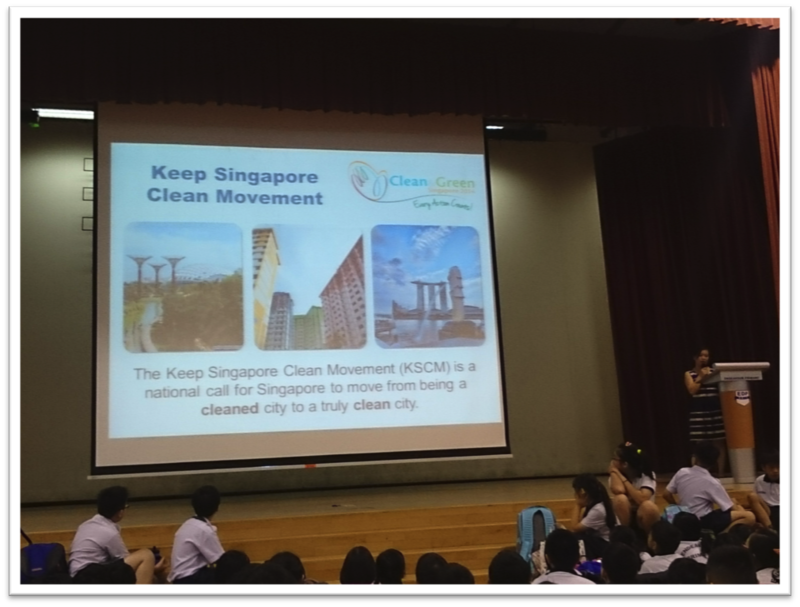 In order to encourage students to be advocates for a clean Singapore, a “Keep Singapore Clean Movement in Schools” was launched on 3rd June 2014 by our Minister of Education, Mr Heng Swee Keat. This movement will enable students to be role models for their family and peers, and help students to develop empathy and commitment to the community. 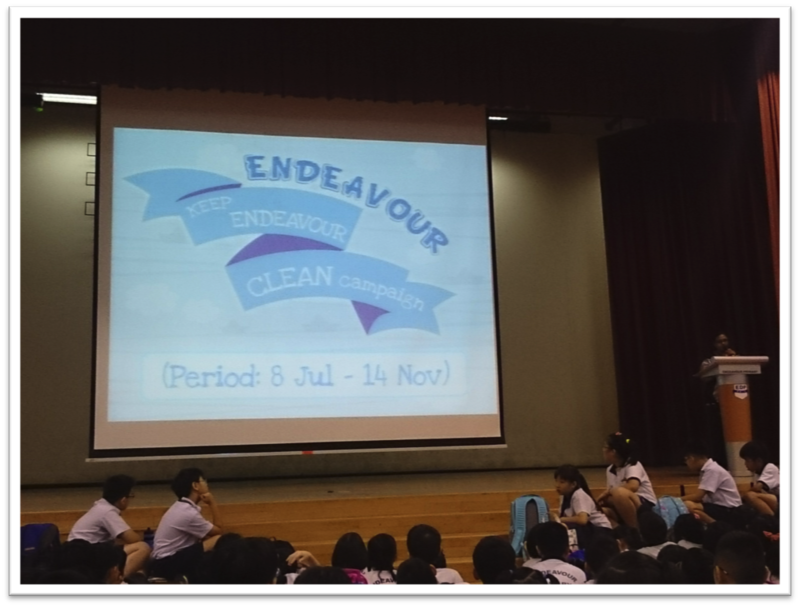 To Support the Keep Singapore Clean Movement in Schools, we have launched our own Keep Endeavour Clean Campaign on 8th July, all the way to end of Semester 2. 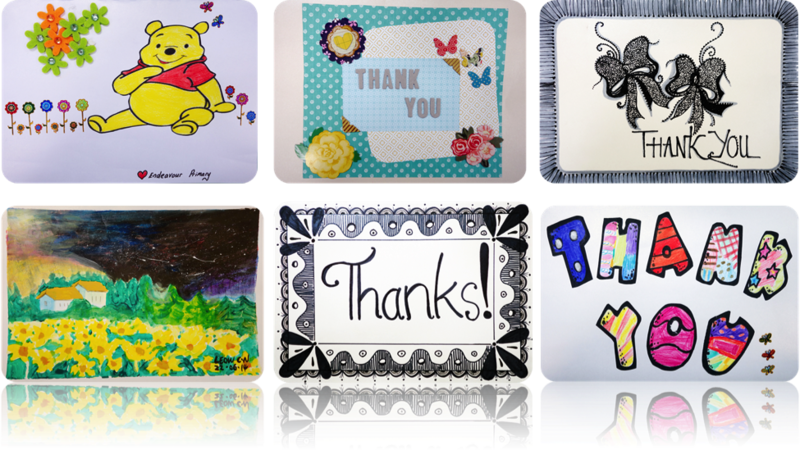 There are various and exciting activities planned for you to support the campaign! The government is hoping to establish a new social norm through the launch of an invigorated “Keep Singapore Clean Movement”: Cleaning up after oneself instead of relying on others. Minister for Environment & Water Resources, Dr Vivian Balakrisnan, said Singapore needs to reclaim community ownership and community action to keep the country clean. He continued to say that: “A key reason of course, is the wrong attitude that cleaners are here to pick up after us and the misplaced notion that this is appropriate behaviour because cleaners are paid to do so.” Indeed, this is very wrong and we must change our mindset. 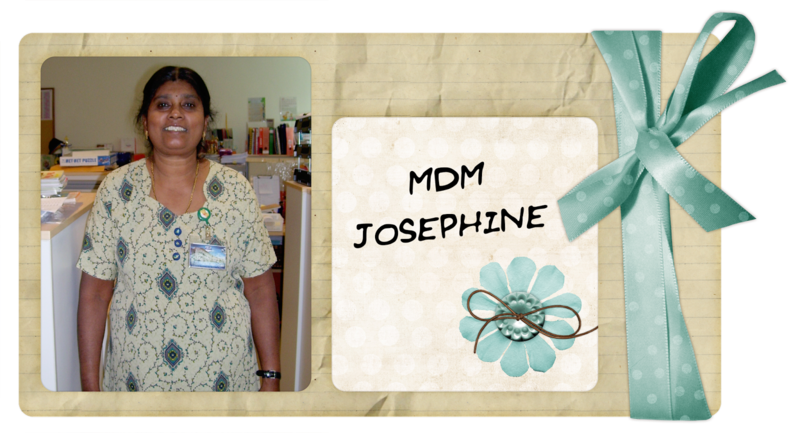 We are very fortunate and blessed to have our school cleaners to help us in maintaining our school clean. Do you realize that they are the ones who clear the bins in your classroom every day? The ones who help to close our classroom windows, preventing our classroom from getting wet when it rains? The ones who clean our toilets and mop the floors? 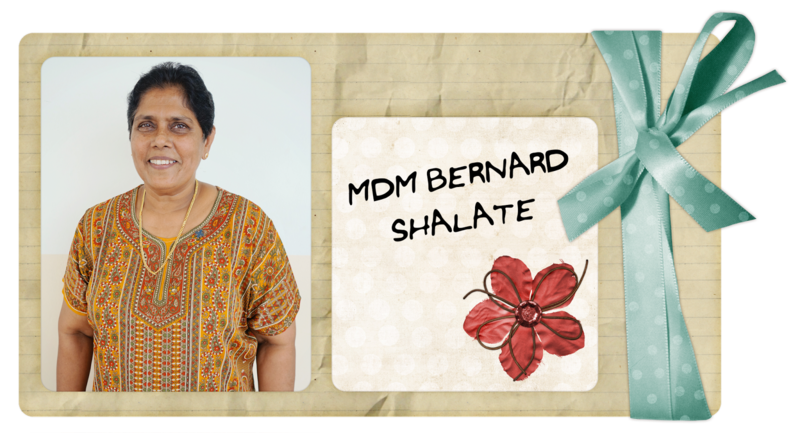 The ones who clear the spills from your noodles and any vomits or pukes in the hall or classroom? The ones who cares for our well-being, giving us a clean environment to study best in? But have your ever approach them to say a word of thanks? Many a times, we take things for granted, and never realize the importance of these people. 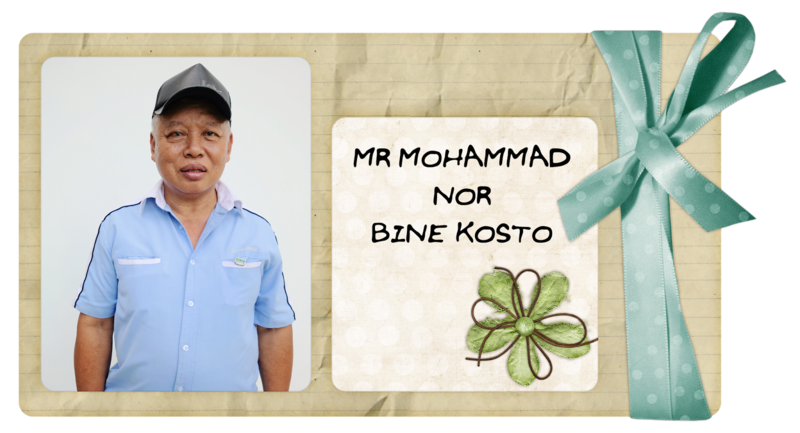 These uncles and aunties work very hard to keep our school clean so that we can have a good learning environment. Their jobs are tough, but they take pride in their work. 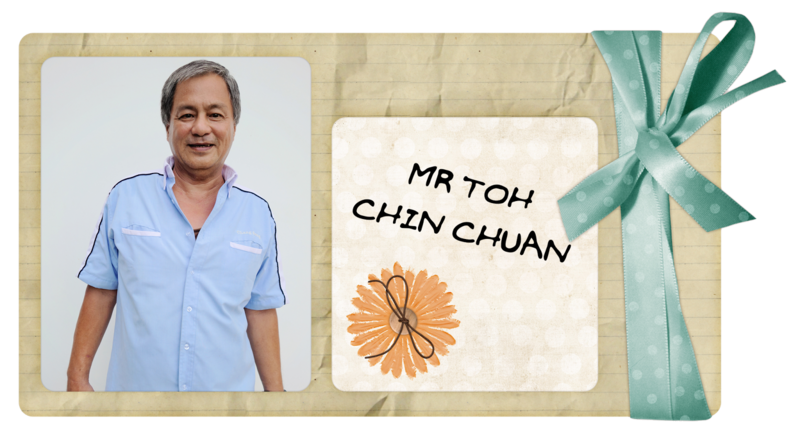 So we should always learn to appreciate their contribution to the school and to thank all our great uncles and aunties for always being there to take care of our school and well-being! 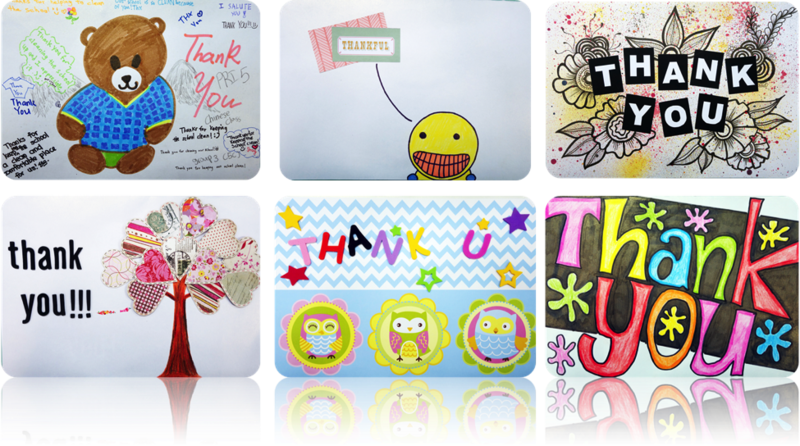 To show our appreciation, some of our teachers have thoughtfully designed a Thank you card, especially for our school cleaners. 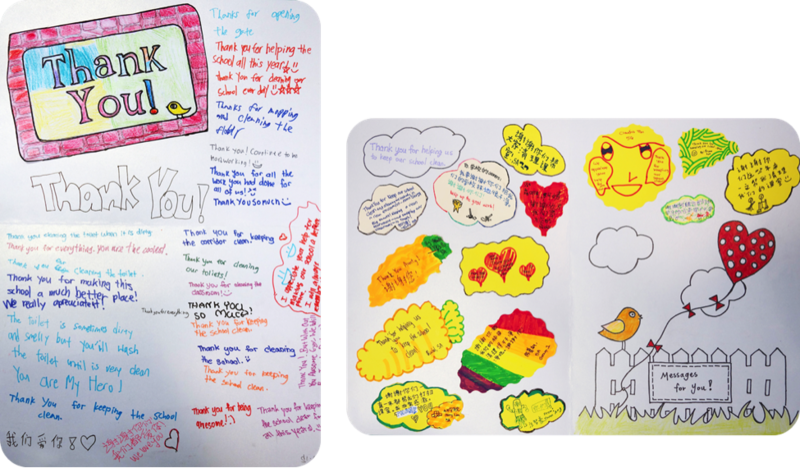 Inside the cards, we have special messages to our uncles and aunties, written by our EDP pupils too! 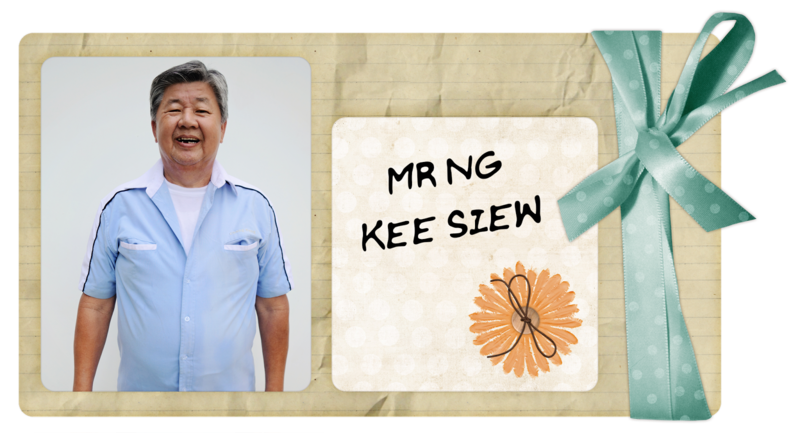 Lastly and most importantly, let us thank all our following great Uncles and Aunties for their hard work! 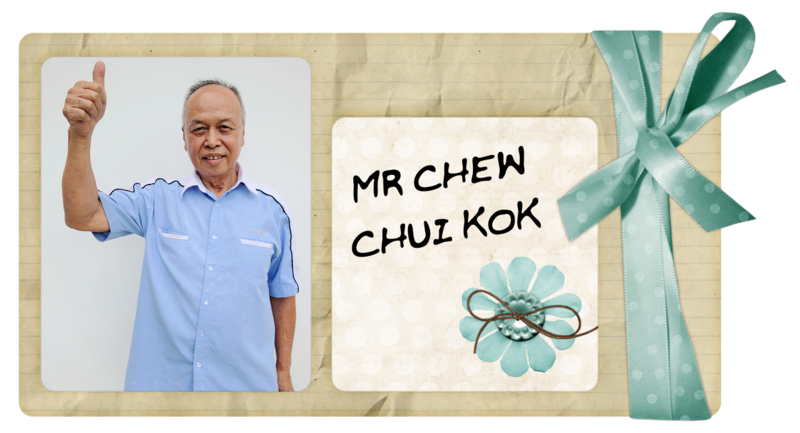 Thank you once again to all our uncles and aunties. So the next time when you see any of them in school, don’t forget to say Hi, greet them, and thank them for their hard work! 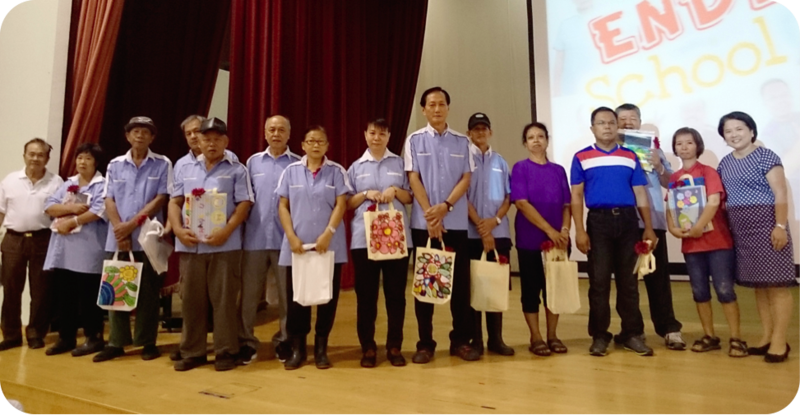 Our Principal, Mrs Pek, presenting the little appreciation tokens to our school cleaners. Every action counts. 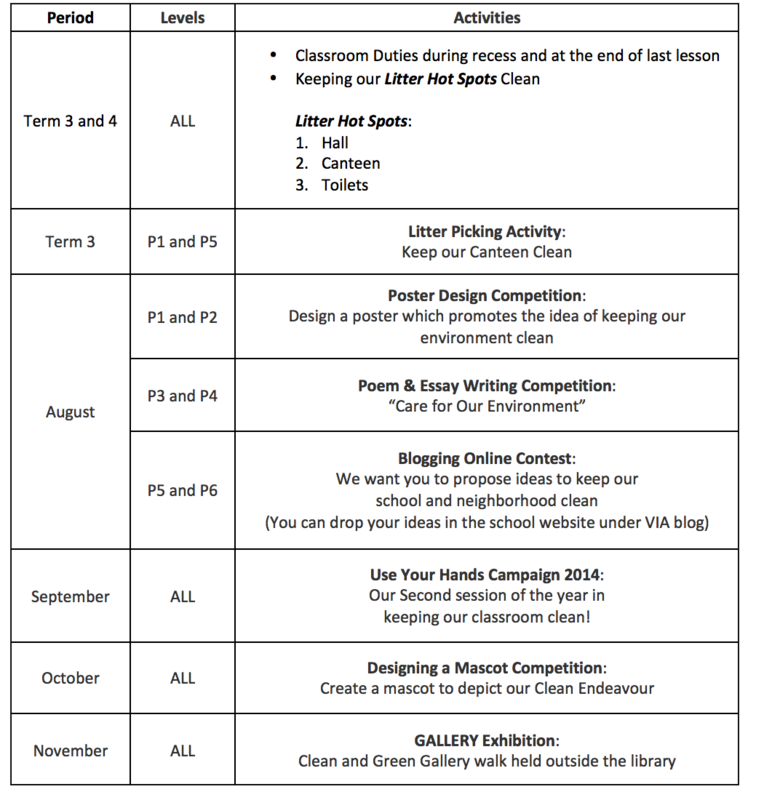 Everyone needs to show their consideration, empathy, care and committment by doing their part in keeping the school environment clean. Let's do our part, get involved and make a difference together! With that, we can truly call Singapore our beautiful and clean Homeland.